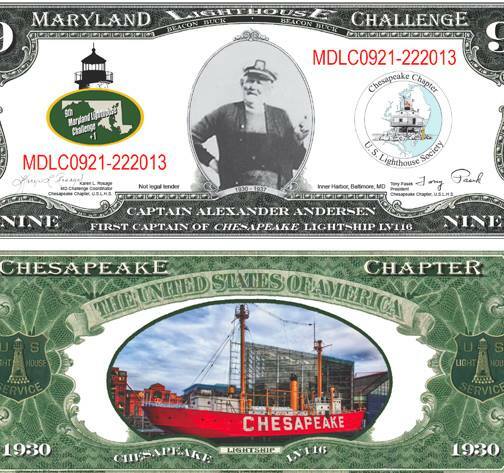 The following are the various Lightship specific special souvenirs presented to those LH Challenge participants who visited the Lightship during the Maryland Lighthouse challenge event over the years. 2018 - no LH challenge. 2016 - no LH challenge. 2014 - no LH challenge. 2012 - no LH challenge. 2010 - no LH challenge that year, decision made to shift to every other year due to the large amount of volunteer work required.